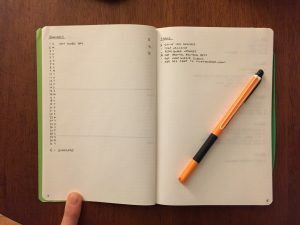 If you are not familiar with Bullet Journal, it’s an analog system of task management that centers around rapid, daily logging. Bullet Journal was developed by Ryder Carroll, a digital product designer living in Brooklyn, NY. It has developed a bit of a cult following and as such there are many variations/hacks that have been proposed to build upon the system. However, at its core the Bullet Journal is meant to be simple and flexible enough to handle anything you throw at it. I’ve been keeping a Bullet Journal for a few years now, but I’ve been rather inconsistent about using it. There are elements of the system that I find challenging to keep up with such as the monthly log and task migration. As a result of my inconsistency, I’m not using the system as effectively as I could be. This year, I want to be more intentional about using my Bullet Journal on a daily basis. I know if used consistently, I could get a lot out of a system like Bullet Journal, which is why I haven’t given up on it in the past. Here’s to making this year the year of Bullet Journal. 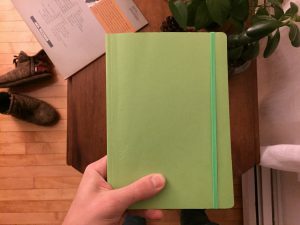 Here are some photos of the journal and pen I’m using for Bullet Journal this year. Bullet Journal monthly log and task list. 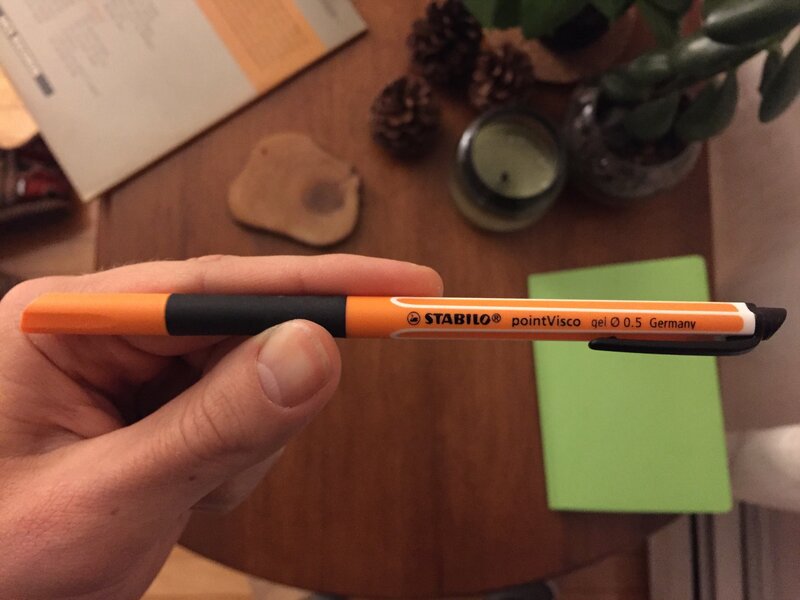 STABILO Point Visco 0.5mm pen.